I know it has been silent here on my blog for a while now and that has many reasons. 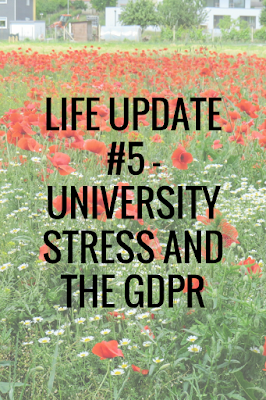 Maybe the most important one was university, but also some blog changes that need to be done and which take a longer time. It seems like it is more and more work every new semester and it feels like a never-ending to-do-list of things that I should do and that I should find time for. Sometimes it is so much that I don´t know how to handle all of this, but giving up is no option, so I always try to do it the best way that I can. Sadly that also means that I don´t always find enough time for my blog, although I really love what I do here and I also love to share my thoughts and experiences with you. I honestly couldn´t imagine my life without Instagram and my blog anymore, because I appreciate the exchange with my readers and followers. Finding new topics and things to write about, telling you more about my travel experiences, testing new products to tell you more about the benefits and disadvanteges and getting good feedback from you makes me happy and every time my work gets valued I know that I might do a good job here. 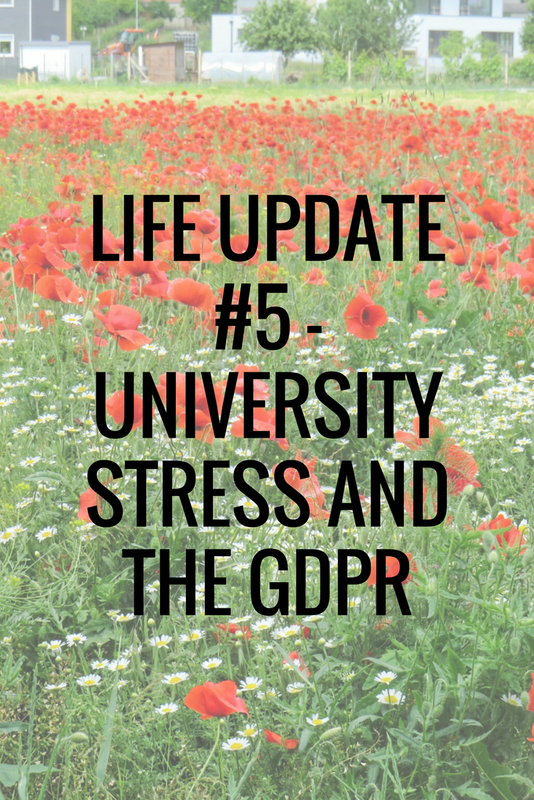 One thing that makes it much harder now for me to do that blog thing is the GDPR - the General Data Protection Regulation from the EU. In conclusion this regulation leads to giving control to everyone when it comes to data that is collected online, just like your name, adress, IP adress and more. That also means that everyone who has a website or a blog needs to change a loooot on their platform,like removing social media icons that send information about users without clicking on them. Some things which are necessary for these changes needs to be done, but to be honest, some of them are things that I can´t do alone, because I just don´t have the technical knowledge for it. So I need to get some help to do it, which is not that easy. There are still some things that I wasn´t able to change and I hope to find some solutions for these things as soon as possible. I am also working on it already for a longer time, because this regulation is effective by 25.5.2018, so it is really soon. As soon as I made all these changes there will be more new blogposts coming, I already planned many for the next time, and also some new kind of blogposts and I can´t wait for your feedback then. I also finally planned my summer vacation and there are only a few days left until I am traveling to one of my favourite summer vacation destinations. I really can´t wait until my holidays are starting, because I need a break after all that stress lately. Just follow me on Instagram and you will for sure see soon where I am travelling to. Have you already heard about the GDPR? What do you think about it?